When you’re talking bands from London, that list can seemingly go on for months. Never mind the absolute hall of famers like The Rolling Stones, The Kinks, Led Zeppelin or Queen—there’s also the outstanding more modern bands like Coldplay or Mumford & Sons too. With all of these popular British groups, one band struggled to achieve name recognition, and it was even harder given that American grunge was crushing the U.S. radio airwaves. After leaving his band Midnight, Gavin Rossdale met guitarist Nigel Pulsford in 1992. The two bonded over their mutual love for the band the Pixies and decided to start jamming. Their band was called Future Primitive, but the sound wasn’t a good commercial fit. One record exec said their early sound was basically a more commercialized INXS. The pair recruited a bassist and drummer to complete their lineup. They started calling themselves “Bush” after Shepherd’s Bush, London where they all used to live. In 1993 they were signed by a smaller label in England that had a U.S. distribution deal with Disney’s Hollywood Records. Bush completed their first album, but the death of a Disney executive who backed the smaller label resulted in new ears listening to the band. Those new ears deemed the band and album unfit to produce. As a result, the guys took small labor jobs to make ends meet. At a crossroads, Interscope Records stepped in and released the album, not expecting much success. 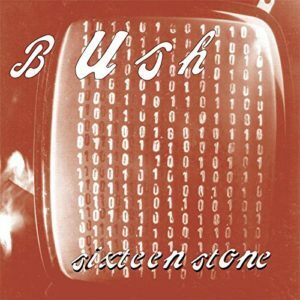 Bush’s debut album Sixteen Stone was released on December 6th of 1994. An advance copy was sent to an influential Los Angeles radio station which added lead single “Everything Zen” to its rotation. The album would peak at #4 on the Billboard Charts and spawn two Top 40 Singles. After about six months of promotion and buzz, the sales started to pour in. To date, it was sold nearly 15 million copies worldwide, not bad for an album that was nearly squashed. Because of the timing, Bush was frequently compared to the Seattle sound and bands like Pearl Jam and Nirvana. Critics felt they were essentially a poor man’s version of those groups—good music, but less talent. Bush would ultimately in later albums distance themselves with new sounds to avoid the comparison. Growing up in this era, I would personally have never put Bush’s music in the same conversation as the punk/grunge era of the time. 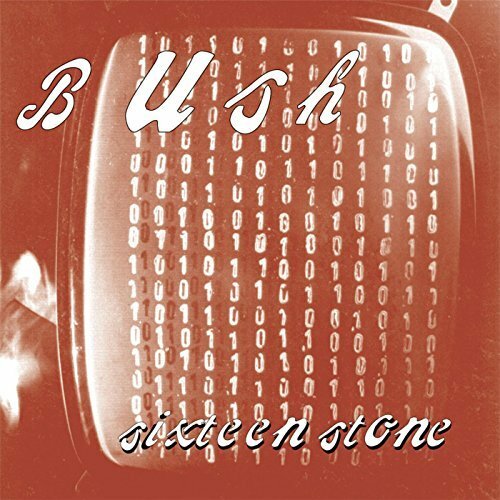 Bush’s sound was more of a true rock stance, and less of the familiar MTV hits of the time. As someone who purchased this CD shortly after its release, I believe it still holds up to this day. It’s by no means a perfect rock album, but there are so many outstanding tracks with only a couple that I might skip if I’m not truly in the mood. Some of the ballads are a fantastic mix into some otherwise very hard, guitar-heavy tracks. In retrospect, Sixteen Stone has made a variety of lists discussing how influential 1994 was on the music scene—and how this album is toward the top of the list for quality records that year. Bush is still around today, but never quite had the success of their debut album. They’ve had their share of lineup changes, but I understand they still put on a solid show. Can’t go wrong with the original today though, and for $5 bucks, it’s a cheap and easy trip back to 1994.